Just one pound of seeds will grow enough food to feed one person a varied diet for an entire year. One pound is barely anything! That’s probably less than the clothing you’re wearing weighs. But that single pound of seed will plant an acre of food which can feed you for a year. The most well known seed vault in the world is the Doomsday Vault – or Arctic Seed Vault. It’s dug deep into a cliff on an island in Norway. It protects samples of every kind of seed important to agriculture and plant life on earth. It secures humanity’s greatest technological accomplishment. It’s not airplanes, nuclear power or even Facebook – it’s DNA. The instructions that grow our highly productive food crops like wheat, corn and potatoes, making civilization possible. Pick your disaster – nuclear war, asteroid strike or global pandemic – this vault is built to survive. But on the off chance you don’t have tens of millions of dollars to set up your own arctic seed vault, a 5 gallon bucket is a decent plan B! Here’s the Arctic Vault’s baby brother. In this one little plastic pail are enough seeds to provide two people with food for a year. Provided you have the space to grow them of course. This seed vault is put together by Heirloom Organics and is specially sealed to keep seeds fresh for a long time. I’m sure you’re dying to know what food for a year looks like, right? Use this list to build your own seed vault. It’s adapted from Heirloom Organic’s list published on their site. If you’re building your own seed vault you’ll want to multiply these values by the number of folks you plan on feeding. Take care though! When building a long-term seed vault, proper storage is everything. For example, the commercial 5 gallon bucket seed vault we mentioned before is considered “investment grade quality,” which means the seeds are vacuum sealed and prepared in a way that doubles their ordinary seed life. Although some seeds can last hundreds of years, improperly stored seeds will have a greatly reduced germination rate. This means as few as 1/100 seeds will sprout on old or badly stored seedstock. I’ve talked about the book Sail the Farm on this site before. It keeps coming up because it’s one of the most interesting books about homesteading on the ocean – or seasteading – that I’ve ever read. When growing food over the ocean, you don’t have the space to bring plants to seed. Restocking on seeds is what ties an ocean-based agriculture back to land. 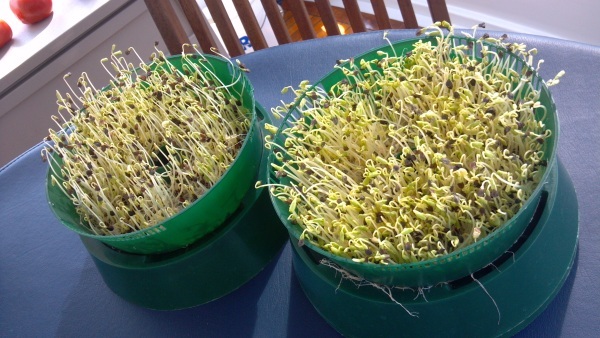 But by eating the seeds as sprouts, the author only needed to resupply twice a year. Seed potatoes are different from other seeds, because it’s such a huge seed compared with many of the other crops we grow. It’s not even really a true seed, but rather a small section of the adult potato. That makes them much trickier to store long term, normally you can’t store seed potatoes longer than a year. 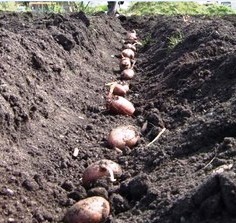 For this reason, it’s worth educating yourself on preparing your own seed potatoes each year from the prior year’s potato harvest. 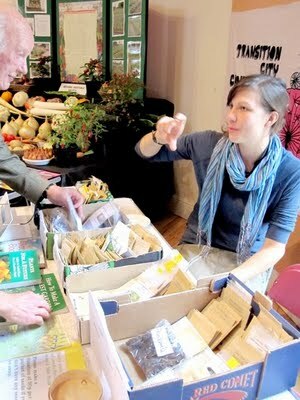 One of my favorite annual events is Seedy Saturday, where people come together to buy seeds for the coming growing season. More importantly, they barter and gift their own saved seeds with each other. It was through farm organizations like this that many of the heirloom crop varieties we eat every day first became common. My favorite site for comparing the seeds offered by different seed companies is Seed Ratings. They are primarily focused on seeds in the U.S. Check there before buying individual seeds. You wouldn’t go eat at a restaurant without checking reviews, right? If you’re interested in filling your seed vault with your own saved seeds, start with the Mother Earth News guide to saving seeds. It starts you off with the easiest and most common plants to save seeds from. Check with your local agricultural extension to find seed saving recommendations based on your region. Growing your seed vault from the ground up is a years-long process which is why it’s best to start with a supply to build from. 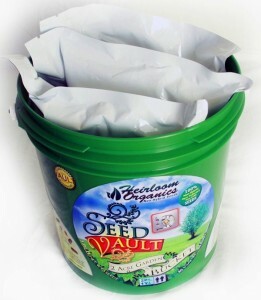 Check out the Heirloom Organic 5 gallon seed vault for the best option we know of so far.